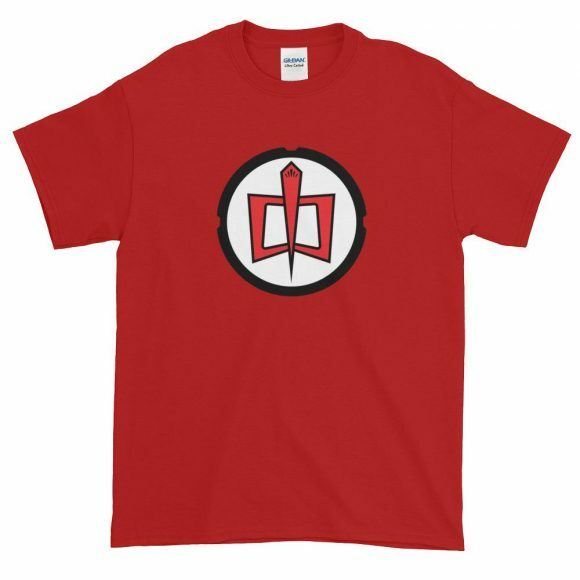 I was poking around Twitter, as I often do, and I noticed a tweet from a new company called Retropolis Tees. 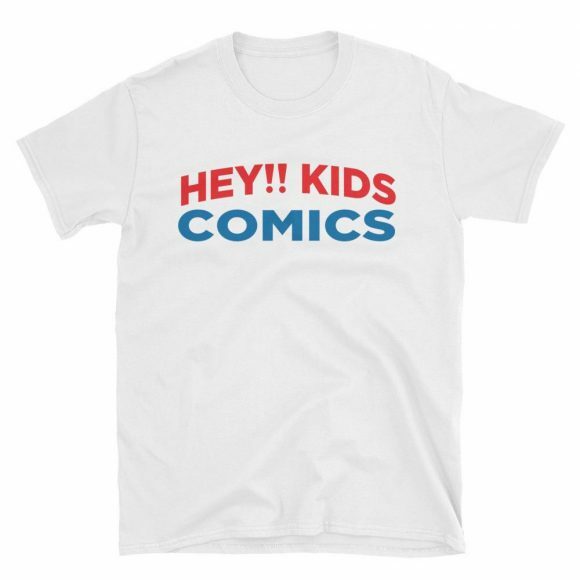 The tweet showed off the kind of T-shirt I really like: Funny and funky with a certain old-school sensibility that’s more subtle than over the top. The kind of thing that people would really get if they were in the know, but still might appreciate even if they weren’t. So I hopped onto the Retropolis website (click here) and it’s a veritable smorgabord of pop-culture references that date back, oh, I don’t know, more than 50 years. This is the Platonic ideal. 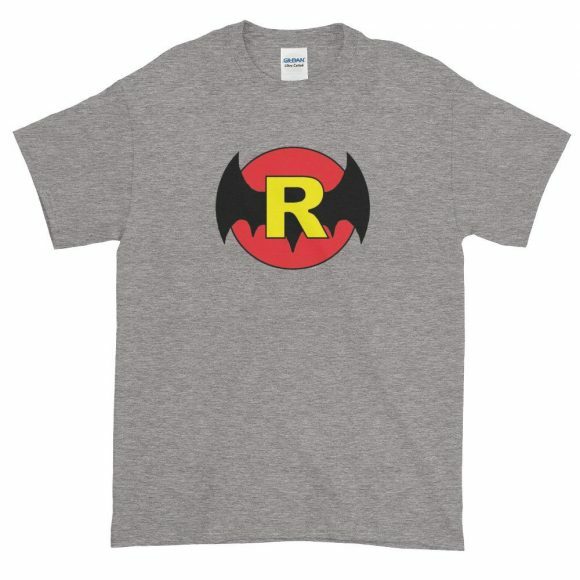 And there are a bunch of other Batman ’66 riffs at Retropolis Tees, too! And this is right up there too. 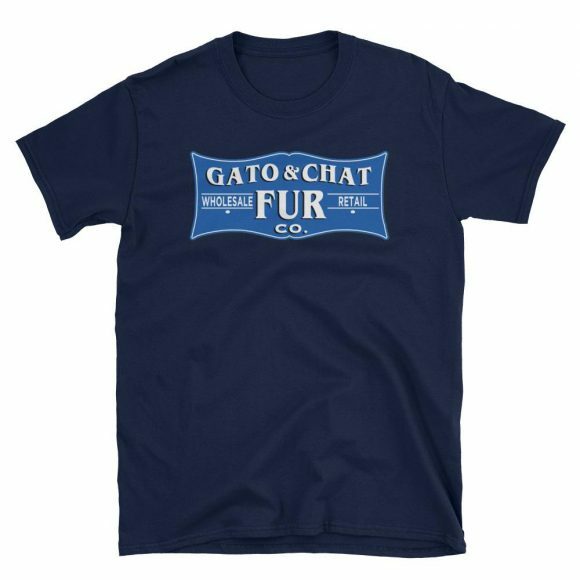 I dug these two shirts so much that I not only put them right onto my Chanukah list, I also contacted the owner to do this feature story. It’s a new company and I figured a lot of you readers would really dig what they’re offering. And, no, I don’t get a cut or anything. This is strictly a public service. As it turns out, the owner’s a guy named Anthony Durso, whom a lot of you may already know from the world of retro toys: He operates The Toyroom, which produces custom boxes for Mego and the like. (Click here.) I’ve purchased many over the years and just bought another –almost exactly at the same time I found out Anthony also owned Retropolis. Go figure. Anyway, included in this piece are 13 of my favorite shirts from Retropolis Tees. Believe me, there are many others I also really liked, so go check out the site. There are 19 pages of styles to choose from (!). Dan Greenfield: What’s your background in graphic design? Anthony Durso: For about the last 20 years I’ve been doing all print and electronic advertising and in-store signage for a nine-store apparel and sporting chain in New York. In addition, as a hobby, I’ve been designing reproduction or custom packaging (as The Toyroom) primarily for such vintage toy lines as Mego and Captain Action but I’ve also dabbled in G.I. Joe, Star Wars, Super Powers as well as custom Mego figures and playsets. Dan: What made you want to go into the T-shirt biz? Anthony: It was an idea we tossed around after one of our last trips to Disney World. We saw there was a market for fan-made tees above and beyond what’s sold in the parks. With my daughters’ constant encouragement, I thought, “I could do that.” But admittedly I dragged my feet for about a year or so until I figured out exactly what to do and how to do it. 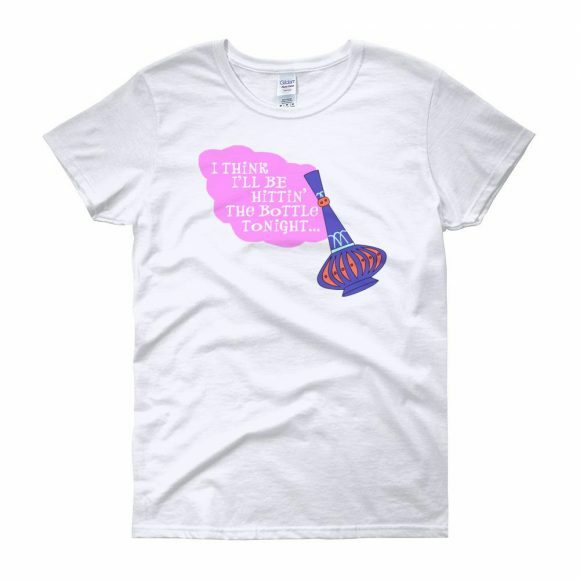 But I have tons of ideas written down that have already surpassed the original concept of just Disney-inspired tees. Dan: Some of these are based on existing designs. Others are riffs. Others look completely original. Are these all shirts you designed or did you have help? Anthony: Everything is designed by me. Good or bad. Some ideas may have been given to me (“You should make…”) but ultimately I decide if I want to do it and what it’s going to look like. 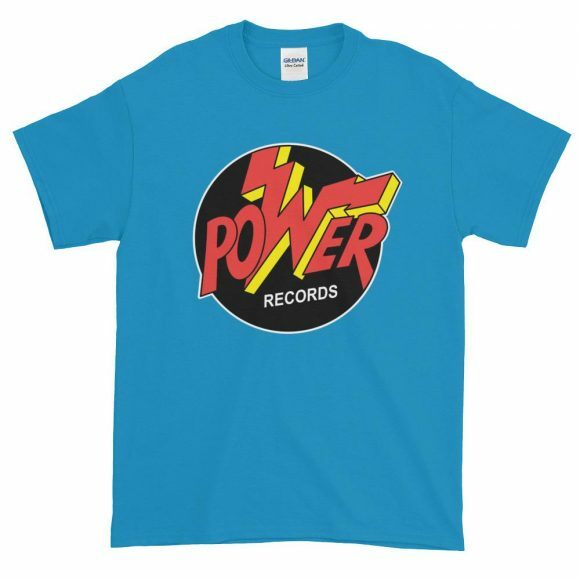 Some designs of something existing were like, well, I’d buy that if it were on a shirt (Power Records). Others utilize graphics I acquired over the years with the toy design (Pulsar). Original stuff (Full Moon Fever or Drunkin’ Donuts) are just based on ideas that pop in my head throughout the day. Eventually, stuff like bygone brands (Bradlees, Ames) will be replaced by more unique designs. Probably sooner than later. This has my sister Paula’s name all over it. Dan: Name some of your favorites. Dan: How do orders work? Obviously, you don’t have all these in stock. Anthony: As Retropolis Tees, I’m on Facebook, Twitter and Instagram. Those posts all redirect you to my Shopify store. It’s all automated so orders are placed and fulfilled on demand. I was looking for an easy way to avoid printing/inventorying/shipping myself (as I’m already busy doing that as The Toyroom) and this allows me to do that. Not the cartoon character. If you know what this refers to, a Sunshine Day for you! Dan: How’s The Toyroom doing? Have any new items on the horizon there? Anthony: Still taking orders, LOL. It’s non-stop. I can’t think of anything new at the moment. I just recently completed about four different designs for Mego Kiss, based on different eras/albums. That was the last new stuff I worked on since my focus got sidetracked starting up Retropolis Tees. But I’ll get back to designing boxes if I get any sparks of creativity or when someone requests something new. With the custom community doing cool things all the time, the ideas are basically endless. 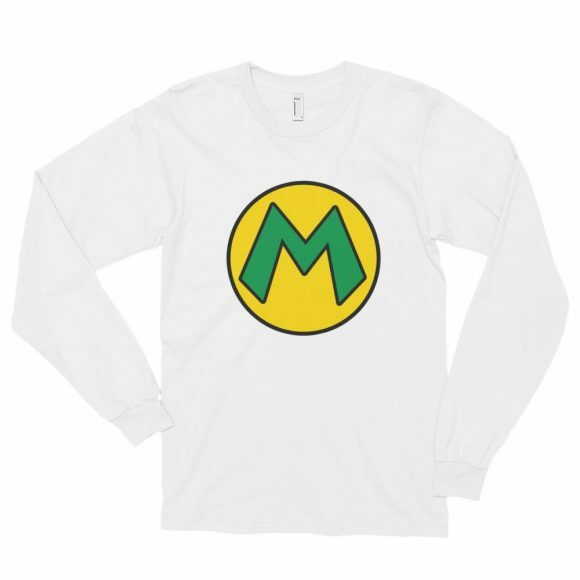 A lot of the shirts have multiple colors. 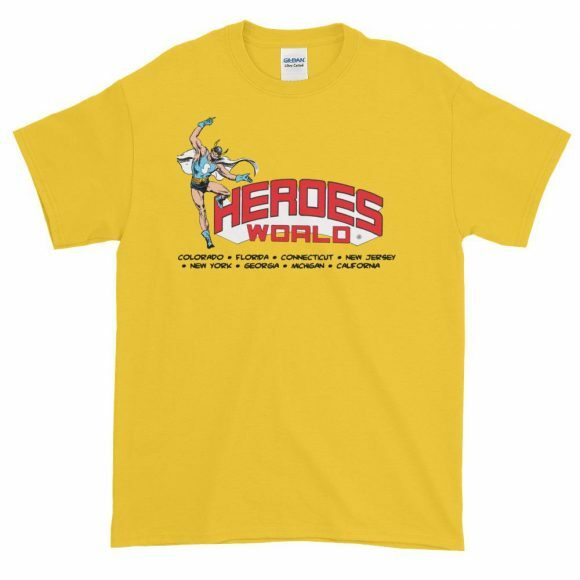 For more on Heroes World, click here! Dan: Will you accept custom designs or ideas from customers? 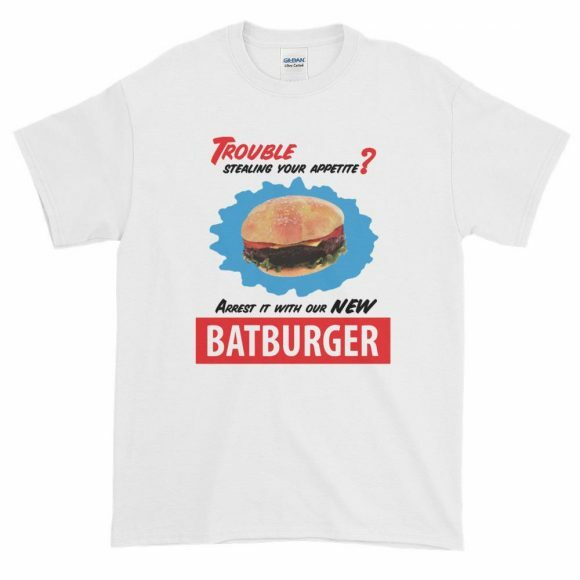 Like, I’d like a really good ‘60s/early-‘70s Burger Chef T-shirt. Anthony: Yeah, I haven’t had any special requests but I don’t see why not. There’s no existing inventory with this business model so it’s not like I’d have to stock something in bulk. An alternate Burger Chef should be simple enough. For Retropolis Tees, click here. For The Toyroom, click here.